As Fannie Mae’s chief economist, Doug Duncan is responsible for delivering forecasts and analyses on the economy, housing and mortgage markets. 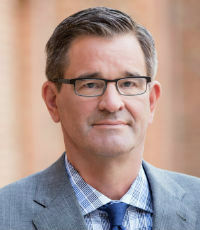 Renowned as a prominent figure in real estate, Duncan is Fannie Mae’s source for information and analysis on the external business and economic environment; the implications of changes in the economic environment to the company’s strategy and execution; and forecasts of housing activity, demographics, overall economic activity and mortgage market activity. Prior to joining Fannie Mae, Duncan served as SVP and chief economist for the Mortgage Bankers Association, and also previously worked as a LEGIS fellow and staff member with the Committee on Banking, Finance and Urban Affairs for former Florida Congressman Bill McCollum.